Samsung Electronics today revealed the new Galaxy A Series, beginning with an initial roll-out of two new smartphones, designed to provide industry wide innovations starting from the mid-tier portfolio. 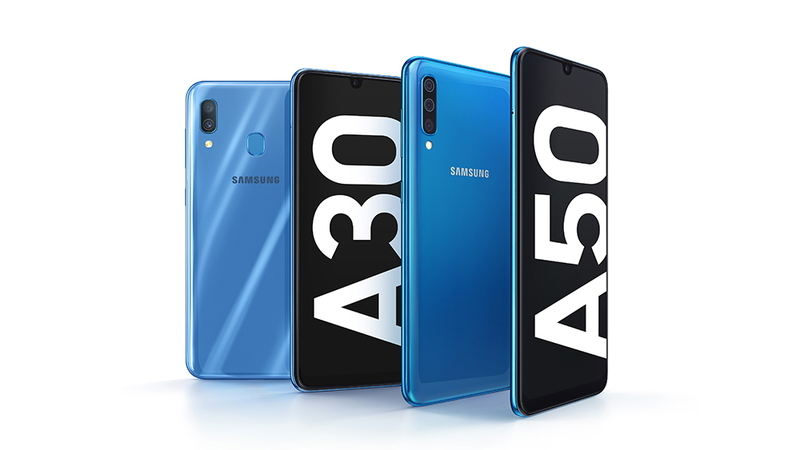 The Galaxy A50 and A30 offer improvements to the essential device features that matter most, including offering an immersive viewing experience, longer lasting performance and a camera which captures the world as you see it. The new Galaxy A Series is designed for the way that people are connecting today – sharing, capturing and consuming live. The new series offers diverse, powerful devices that can keep up with these spontaneous, collaborative interactions. With the Galaxy A Series, consumers can seamlessly experience the Galaxy ecosystem using key services such as Samsung Health, Samsung Pay, Bixby, and more 1. The upgraded Galaxy A Series is being introduced with the announcement of two initial models. AI Camera helps you capture the best scene, with a Scene Optimizer feature to recognize and optimize 20 scenes, and Flaw Detection to make sure you never miss a perfect portrait shot. Bixby Vision uses the camera and AI to help you shop online, translate text and find the information you need. The Galaxy A30 is for those on-the-go all the time, equipped with a powerful 4,000mAh, fast charging battery. The edge-to-edge 6.4” Super AMOLED Infinity-U display offers an immersive experience, ideal for gaming, watching videos, multi-tasking and browsing – truly letting you live your life on-the-go without missing a moment. Created for a more seamless mobile experience, the A30 includes advanced camera features such as a dual camera, including an Ultra Wide-angle lens, along with simple, secure access with a Rear Fingerprint unlocking feature as well as intuitive Face Unlock. For more information about the Galaxy A Series, visit www.news.samsung.com/galaxy, www.samsungmobilepress.com, or www.samsung.com/galaxy. 1 Features and services differ between regions and models. 1 Typical value tested under third-party laboratory condition. Typical value is the estimated average value considering the deviation in battery capacity among the battery samples tested under IEC 61960 standard. Rated (minimum) capacity is 3,900 mAh. Actual battery life may vary depending on network environment, usage patterns and other factors. 2 Availability of Samsung Pay varies between markets. 3 Bixby Voice and Bixby Vision are not supported.